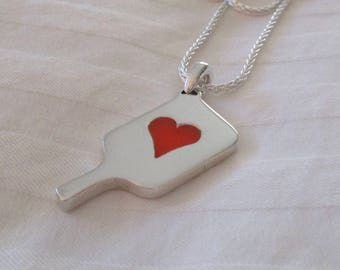 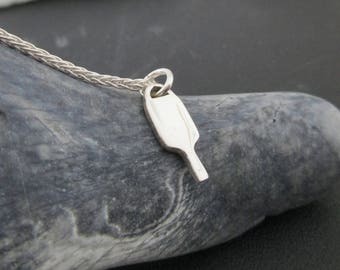 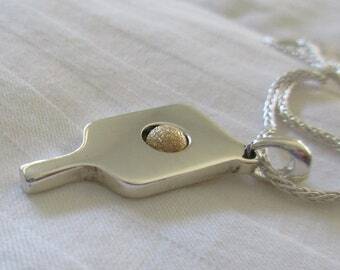 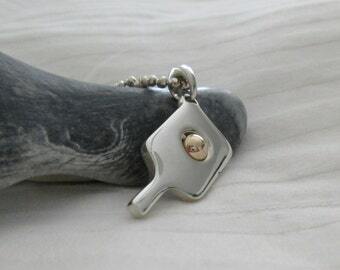 This beautiful, meticulously hand-crafted Sterling Silver pickleball paddle heart is not for sissies! 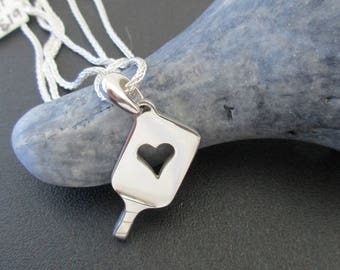 We took our most popular heart pendant and enlarged it to a size of 1 1/4' high and 5/8" across. 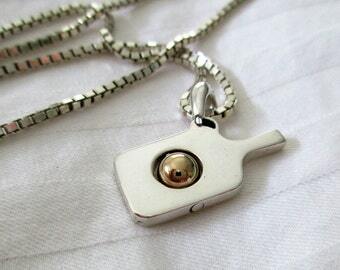 It measures 1/8' in depth and is finished with a sterling silver bail for your chain. 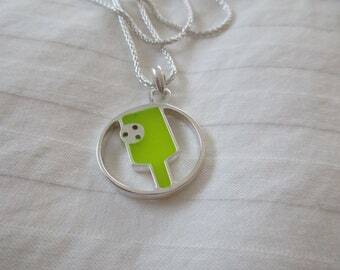 It is worn by pro players all over the world. 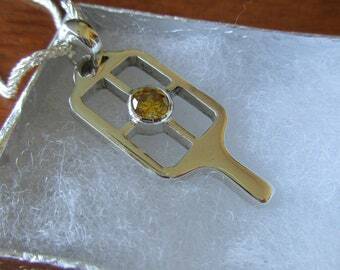 For those of you that LOVE pickleball, show it off on the court or give a gorgeous gift to your favorite pickleball player. 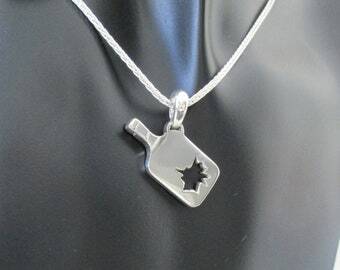 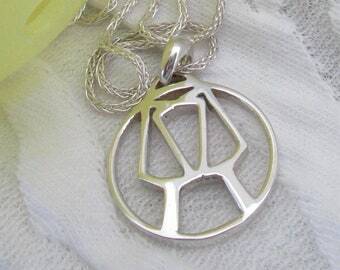 You may purchase the pendant alone or with your choice of chains. 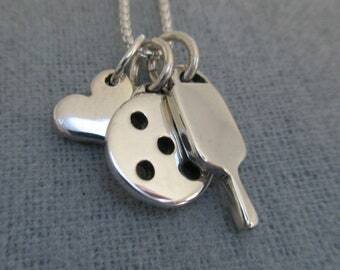 See the last 4 pics for the chains. 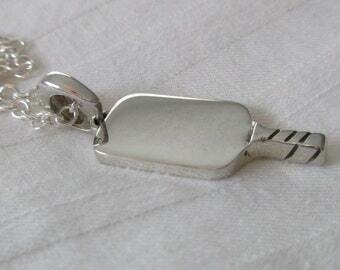 16", 18" or 20" Beautiful 1.6mm Sterling silver wheat chain with lobster clasp. 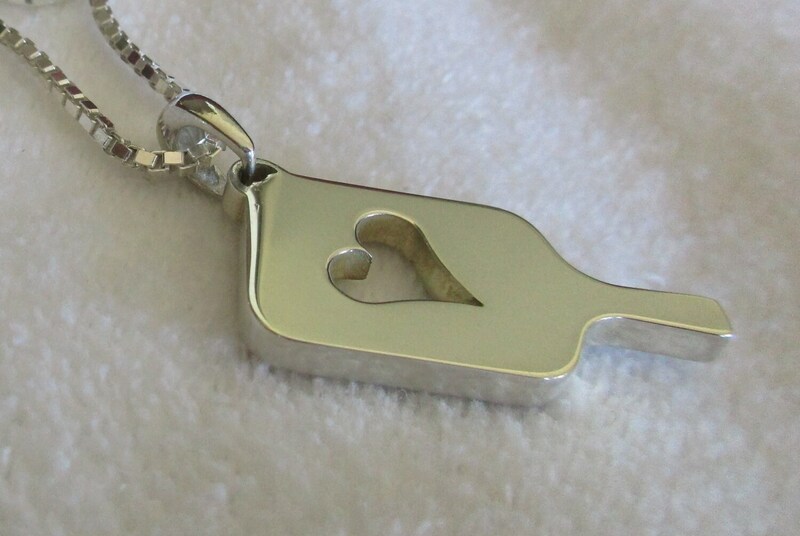 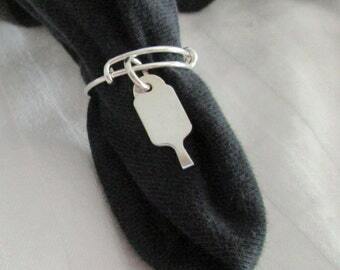 Your item will come highly polished in a gift pouch with an anti-tarnish strip. 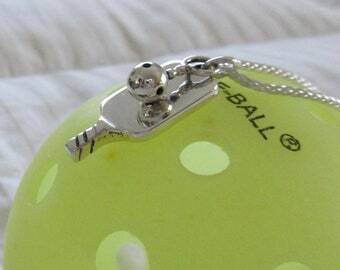 All items at Pickleball and Jewelry are MADE IN AMERICA.